Mocha Nut Low Fructose Smoothie. We LOVE this paleo smoothie! 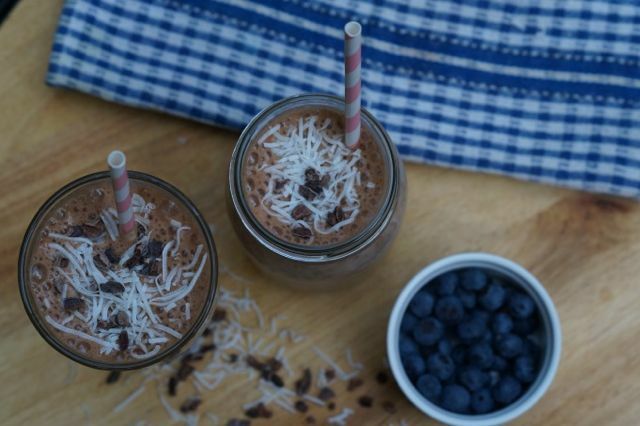 We call it the mocha nut low fructose smoothie! It’s a mouth full of deliciousness! But wait, it gets even better with homemade Almond Milk! In your blender (we use our Vitamix) blend all of the ingredients until smooth. Serve immediately (with a cute straw). We top our smoothies with creamed coconut. It’s all kinds of amazing. Get it here.